There are currently no active listings in Amberleigh. HI Amanda, Amberleigh here in Ballantyne is one of my favorite communities to sell in... but it's all single family homes. Your Amberleigh always sounds like a great townhome community and one I'd seriously consider if I were shopping for a townhome in Alexandria. If I were to ever hear anyone asking questions about Amberleigh, I would certainly advise them to give you a call. Good morning Amanda - Amberleigh looks like a great community with many townhouses to choose from. Hello Amanda, Always like your video of you driving a area and your knowledge you have for the area. Good Job, Make it the best week evr this week!!! Looks like a lovely community Amanda, and so convenient to shopping. I would definitely be visiting Johnny's pizza if I lived at Amberleigh! 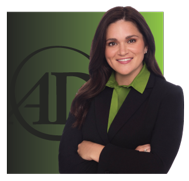 HI Amanda S. Davidson - Another thoughtful market report that covers all the basics a buyer or seller needs to know to hire the right agent...Amanda Davidson. Amanda, great market report on the Amberleig in Alexandria VA. Sounds like a very nice community.